Bring those big, bad '90s guitar tones to your pedalboard with the Wampler Pedals SLOstortion overdrive-distortion pedal. Part of Wampler's Amp-in-a-Box series, the SLOstortion delivers those '90s overdrive and high-gain amp tones used by your favorite guitar heroes. Use the 3-band EQ to dial in your ideal sonic signature. The footswitchable clean boost boosts your output to make sure your solo cuts through the mix. An Overdrive switch lets you choose between clean, crunch, or all-out high-gain amp tones. 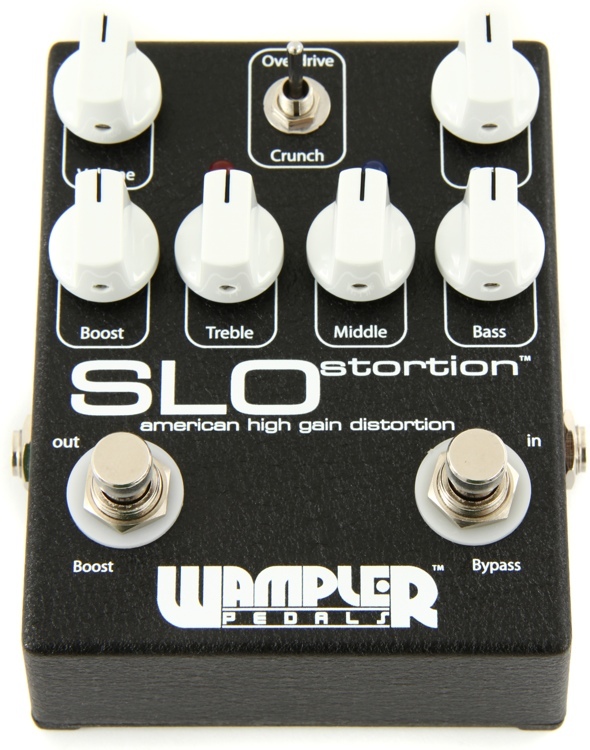 Bring '90s amp tones to your pedalboard with the Wampler Pedals SLOstortion pedal.